BADGHIS -- The Taliban and local warlords are reportedly benefiting from controlling or contesting areas in Badghis and Herat provinces rich with pistachio trees, provincial officials say. More than 30,000 hectares of pistachio groves are situated in insecure districts of Badghis, where fighters belonging to the Taliban and to other militant groups as well as local strongmen possibly earn millions of dollars every year in revenues from the illegal sale of pistachios, according to surveys. The pistachio trees are found both on farms and in wild groves. Estimates of the profit to be made from pistachios vary greatly. In March, Badghis provincial agriculture official Ahmed Irfan put annual provincial revenue from pistachios at $45 million (3.3 billion AFN), according to the Institute for War & Peace Reporting, although he said most of that money goes to insurgents and criminals. However, "sources in the Ministry of Agriculture have told us that insurgent groups earn approximately $100,000 (7.3 million AFN) in revenues per year from pistachio groves," Badghis Deputy Governor Fayz Mohammad Merzazada told Salaam Times. Afghanistan lacks the troops to protect its pistachio trees, he said, adding that the provincial government has an extensive plan to secure the orchards but that it will likely take a long time to implement fully. "Unfortunately, the pistachio groves are under the control of the enemy -- i.e., the Taliban and powerful criminal groups who live and control those areas and benefit from the pistachios," he said. The situation is "extremely alarming", warned Abdulaziz Halimyar, director of the Agriculture Department in Badghis. "We too are very worried about the security situation pertaining to the pistachio fields," he told Salaam Times. "The cutting down of pistachio trees in Badghis is yet another matter of concern," he said, referring to individuals who seek firewood. "Those groves have shrunk to less than 30,000 hectares from more than 90,000 hectares only a few years ago." Badghis's pistachio fields are one of the underlying drivers fuelling the Taliban-led insurgency in western Afghanistan, local officials and analysts say. "[The pistachio fields] provide a steady stream of revenues for insurgent groups, including the Taliban," Abdul Aziz Bayk, chairman of the Badghis Provincial Council, told Salaam Times. "Using revenue streams from these pistachio fields, [militants] purchase weapons and ammunition and use them against the [Afghan] government," he said. 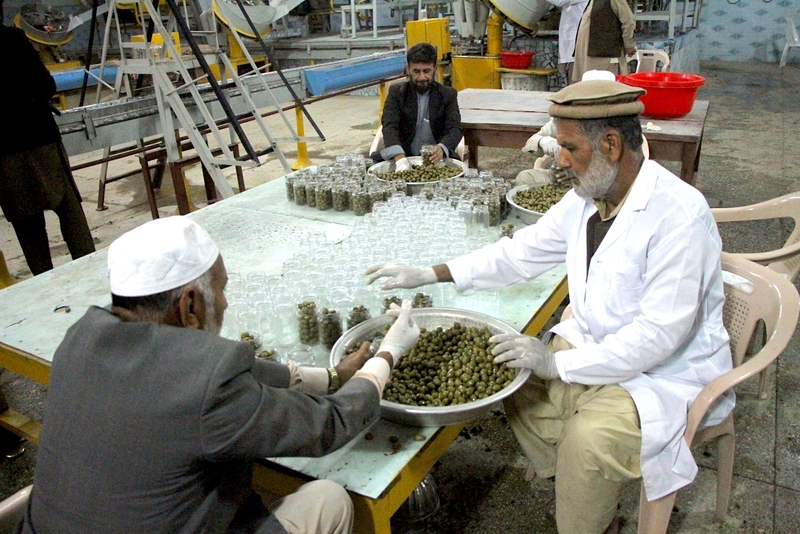 The revenues the Taliban receives from exploiting the pistachio harvest should rightly go to the Afghan government and citizens, observers say. If managed properly, these revenues can help improve the lives of residents of Badghis as well as in surrounding provinces. "Every year, Afghans and their government lose millions of dollars because of this issue," said Najmuddin Burhani, 34, a civil society activist in Badghis. 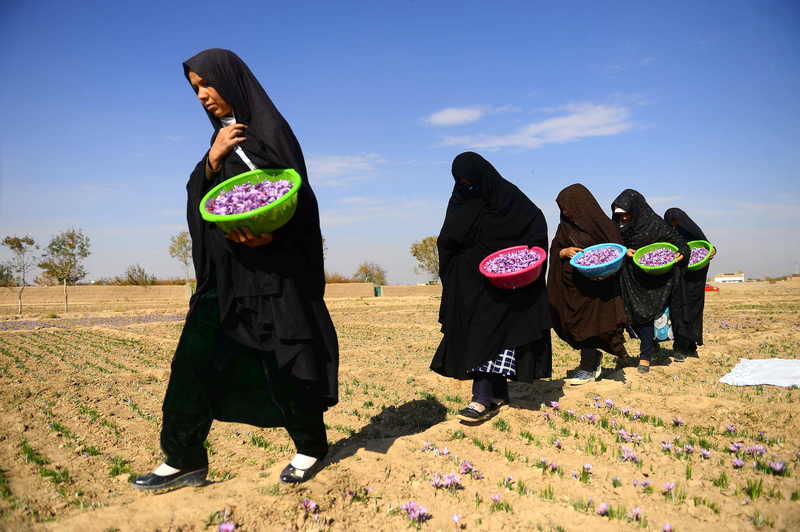 "The Taliban receives huge amounts of money from these groves every year," he told Salaam Times. "We call on President [Ashraf] Ghani and the [Afghan] security agencies to manage these fields." "The Taliban and other insurgent groups have a widespread presence in the region, and the Afghan government and security agencies must act swiftly to crack down on them," Habibullah Fawzi, 27, a civil society activist in Badghis, told Salaam Times. "[The] Afghan government's performance in this regard has been weak," said Abdul Qadar Kamel, a political analyst in Herat. "The Taliban will not be able to pocket millions of dollars annually from pistachios if the government has the necessary will and determination to crack down on them in pistachio fields." Afghan forces "must launch military operations and clear the groves of the Taliban before the start of the harvest", he told Salaam Times. "Pistachio forests rightfully belong to all Afghans, and all Afghans must reap the benefits of these forests," he said. Plans are under way to wrest back control of the provincial pistachio harvest, said Badghis Governor Abdul Ghafur Malakzai. "I spoke to ... Ghani regarding the problem of pistachio fields, and he has placed this problem on his agenda," he told Salaam Times. Establishing a pistachio processing centre in Badghis would help, "as we cannot deploy our soldiers to every pistachio hill and mountain to guard them," he said. Badghis is not alone in facing militants determined to loot its pistachio harvest. Herat Province has more than 15,000 hectares of pistachio fields, situated mainly in Keshk Kuhna, Gulran and Kohsan. But like in Badghis, these fields are mostly controlled by the Taliban and other insurgent groups. "The Taliban rules over pistachio fields, and we have not been able to harvest any pistachios so far," Abdulsabur Rahmani, director of the provincial Agriculture Department, told Salaam Times. "Herat pistachio fields are public property, and Herat pistachios are among the best in Afghanistan, but they are collected only by the Taliban and other powerful figures." Although an average of 3,000 tonnes of pistachios are picked annually from fields in Herat, the production capacity of these fields is much higher, officials say. "Considering the enormity of the pistachio fields in Herat, lack of facilities and of resources to care for the fields has enabled armed groups, as well as local warlords and opportunists, to take advantage of this national wealth," Jilani Farhad, a spokesperson for the Herat governor, told Salaam Times. "During the harvest season, militant groups take up positions inside the fields and keep out the local residents," he said. "We launched military operations for a while against them [the Taliban and other militant groups], but they return to these fields once our troops leave," he said. "We simply do not have enough security forces." 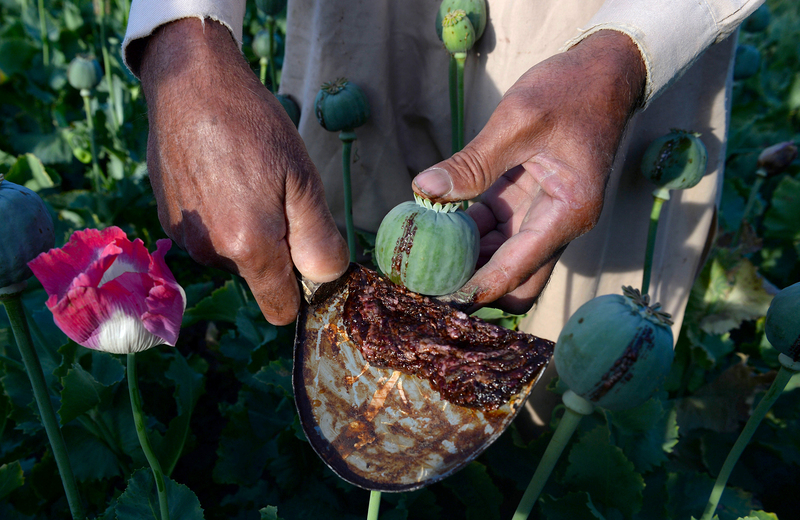 Increased cultivation and yields have compelled the Afghan government to face the issue head on. Taliban militants exercised control over an area in Bati Kot District for years, collecting crops and leaving local residents scrambling for a living.